Melissa Shoes is known for their wonderful footwear and tremendous collaborations, one of which is with furniture design duo, the Campana Brothers. Known for their signature mesh and overlapping lines, this artistic collection brings a playful take on the brothers' Baroque furniture collection by adding elements from the tropical style of Brazil. The Limited Edition Melissa Barroca x Campana collection, which features elements that are associated with iron and bronze Italian works and Brazilian fauna, are made from 30% recycled PVC. 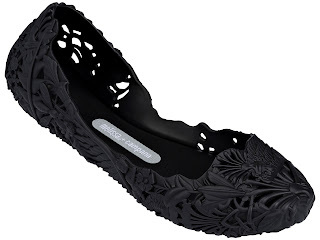 The ornate ballet flats are available in our colors: black, gold, silver, and rose gold. Each pair retails for $98.00, with a portion of proceeds being donated to World Vision, a charity dedicated to lifting children out of poverty. 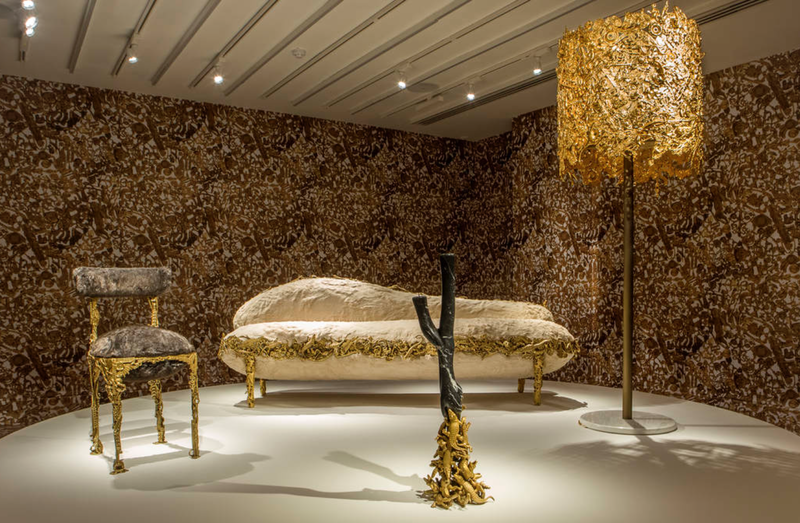 To celebrate the latest collection launch, Campana have launched an installation Barroca: The Harmony of Imperfection at Galleria Melissa in London which will run through February 2016. The instillation features five furniture pieces from the Campana’s Baroque collection, the primary source of inspiration for the shoes. The Melissa Barroca x Campana is now available at Melissa Galerias and online at www.shopmelissa.com.